Become lost in this mesmerizing hand-embellished giclee on canvas by Jim Warren. 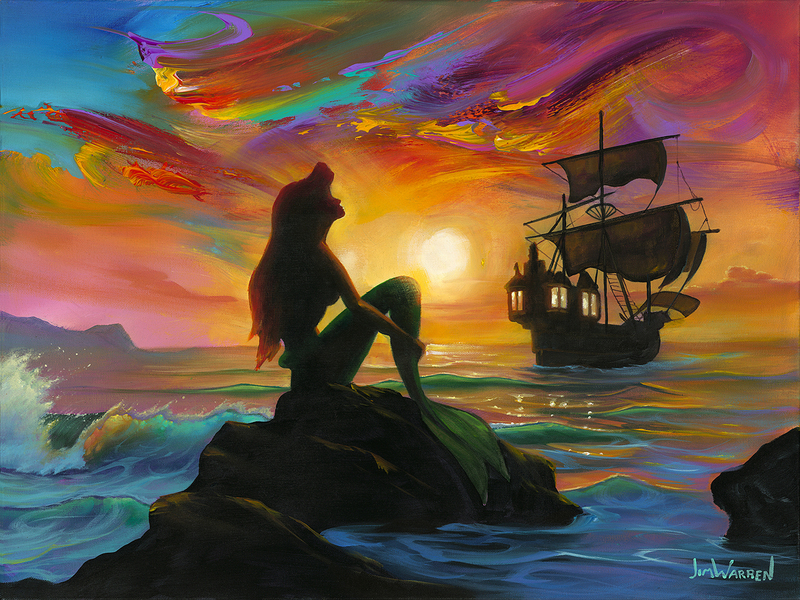 The beautiful silhouette of Ariel against the swirling palette of a sky make this true eye candy. 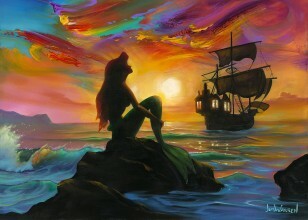 Waiting for the Ship to Come In is a true treasure for any Little Mermaid fan. American artist Jim Warren was born in 1949 in Long Beach, California to Don and Betty Warren. Warren grew up with an older brother, Rick, and older sister, Kathy. 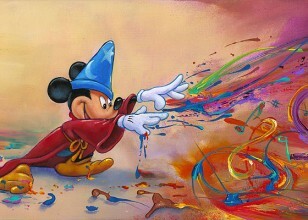 He began drawing at the age of 2 and continued drawing, on and off, through middle and high school. While in high school, Warren considered all the usual career choices – artist, magician and rock star – but it wasn’t until 1967 that he decided to be an artist, a “rich and famous” one at that. He began working in surrealistic fantasy in 1969. During the ‘80s, Warren pursued his high school dream of painting album cover art and painted hundreds of magazine illustrations, movie posters, book covers and especially album covers for such stars as Alice Cooper, Prince and Bob Seger, the latter winning a Grammy Award for best album package for the cover of “Against the Wind,” which topped the Billboard 200. The ‘90s ushered in a new focus, that of the environment and saving the earth. Warren painted “Earth – Love It or Lose It,” which received critical acclaim and was featured on numerous magazines, billboards and shirts. It also became a popular visual representation for the global environmental movement. In the mid-90s, the Neo-Surrealist began painting famous actors and incorporating celebrities and friends into his work referring to the works as “personalized paintings.” Warren painted Juliette Lewis, Wyland and Michael Parnell (CEO of Oakley Sunglasses) during this period. 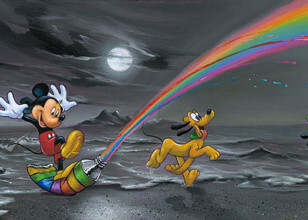 In 2004, Warren’s collaborations with Disney were released as fine art prints. 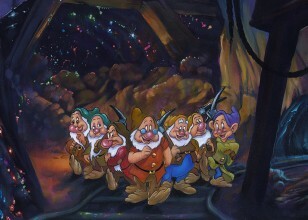 Warren continues to paint Disney characters and his own unique interpretations of Disney characters to this day. In 2009, he began painting celebrities for the Fame-Wall project in New York and Hollywood, painting portraits and unveiling them with the likes of The Beach Boys, John Stamos, Kelsey Grammar, Kristin Chenowith, Brooke Shields and others.